Get relief from Cold and Flu Symptoms and bring Wellness to your entire Family with a Crane Adorable Humidifier. Featuring an award winning, child friendly animal designs and top rated performance, Crane’s Adorable Ultrasonic Cool Mist Humidifiers provide up to 24 hours of soothing moisture to help relieve the effects of dryness and congestion, helping you and your Family to breathe easy and sleep through the night peacefully. The moisture that humidifiers add to dry air also help alleviate many common nuisances brought on by winter heating such as static electricity, peeling wallpaper, shrinking wood, and cracks in paint and furniture. Humidifiers are an ideal choice for relieving the discomforts of nasal congestion, dry itchy skin and hair, chapped lips, nose bleeds, and dry throats. Recent studies by the Center for Disease Control have also shown that relative humidity levels between 43% and 60% helps prevent the movement of germs, including the flu virus. Humidifiers are especially important for Newborns because they are Obligate Nasal Breathers, breathing only through their tiny noses for their first 4 - 6 months. Any congestion can make breathing, feeding, and sleeping incredibly difficult for your little one. Not only that, but many pediatricians recommend the use of a humidifier as a safe, non medicated, all natural alternative to help relieve congestion from the common cold and flu instead of potentially harmful over-the-counter cough and cold medicine. Crane's cheerful designs complement any children's bedroom decor. 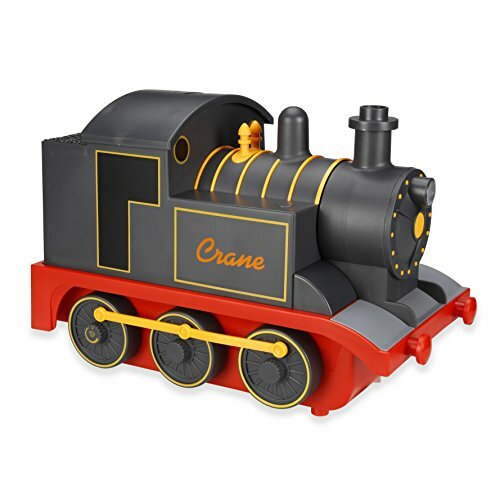 Not only are Crane humidifiers adorable, but they are easy to use, whisper quiet, and feature Antimicrobial Material in the Base to help reduce mold and bacteria growth by up to 99.96%*. This compact, BPA-Free unit uses ultrasonic technology to add humidity to the air, is more efficient than a household light bulb, and includes a built-in auto-shut-off feature that engages when the water tank is empty to ensure safety. If you have any questions about this product by Crane USA, contact us by completing and submitting the form below. If you are looking for a specif part number, please include it with your message.